Fekir to make move to Liverpool this summer? Lyon forward Nabil Fekir, who has been constantly linked with a transfer move to Premier League giants Liverpool, has told reporters that he will soon reveal his decision. Fekir was asked if Liverpool would be his next home. 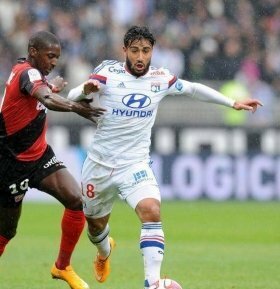 So far, Fekir has remained fiercely loyal to Lyon but it is understood that Fekir will make a transfer this summer. Fekir, who very nearly completed a £55 million transfer to Liverpool just last year, is very highly rated and has recently forced his way in to France's international squad on a regular basis. When asked by Telefoot if he would leave the club for Liverpool this summer, Fekir quipped: “Liverpool? It's part of a player's career, but it makes you stronger and you have to move forward. "I really don't know what I will do [next summer]. “But as I said I feel good in Lyon, the president trusts me, that's good. You will see [if I extend my contract]." Liverpool are apparently readying yet another transfer move for the Frenchman this summer, rumoured to be in the region of £75 million.